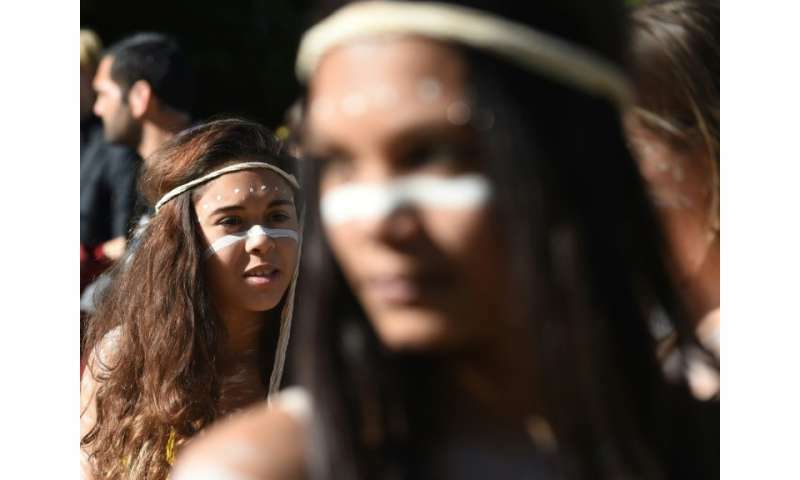 All indigenous languages in Australia descend from a single common tongue, a study revealed Wednesday in findings that shed new light on the country's cultural history. More than 250 languages were spoken at the time of British settlement in 1788 and after three years investigating their origins, researchers said they had finally proven a long-held theory that they all derive from so-called Proto-Australian. The existence of a common parent language gives further weight to the idea that all Aboriginal Australians descend from a single group that landed on the continent at least 65,000 years ago, and spread out over the following millenia, becoming ethnically and linguistically distinct. The project used a standard method in historical linguistics to establish whether similarity between languages was due to inheritance from a common ancestor, as opposed to transfer from one language to another through human contact. Western Sydney University chief investigator Robert Mailhammer said the findings repeatedly revealed similarities between languages that were not in contact. "We discovered that the sounds of words we compared showed recurrent systematic differences and similarities across a set of languages that are spread out in a geographically discontinuous way," he said. "This makes it very unlikely that they are the result of chance or language contact." He added that the findings pointed to Proto-Australian being spoken about 12,000 years ago. "This raises more questions around how the languages spread and how the linguistic findings connect to the genetic findings," he said. University of Newcastle historical linguist Mark Harvey said he hoped the research, published in the linguistics journal Diachronica, would enhance the understanding of Australian and human history. "Until now, it was speculated that Australia was significantly more linguistically diverse than somewhere like Europe, because it had not been proven that all Australian languages actually stemmed from the same lineage," he said. "This is the first demonstration that all Australian languages are part of the same language family." He said this language likely spread across Australia from a small area in the country's north that was first populated thousands of years ago. "This spread is likely to have been carried out by at least some population movement whose material and genetic traces have remained somewhat elusive," he added. "However, with further interdisciplinary research, this new linguistic evidence is likely to give us a more precise reconstruction of Australian prehistory from what is currently known." Only around 120 of the original 250 tongues are still spoken today, with many at risk of being lost as elders die off without passing on the language to younger generations. "The approximately 400 languages of Aboriginal Australia can be grouped into 27 different families." "Australia's largest language family is Pama-Nyungan. Before 1788 it covered 90% of the country and comprised about 300 languages." "There are approximately 145 Aboriginal languages with speakers today, including languages from outside the Pama-Nyungan family." So which article gives us the more accurate picture? How many languages? How many families? Why are the numbers so inconsistent? Have they included the Tasmanian dialects ?? Article says that proto-australian was still spoken 12,000 years ago. Why did they suddenly then diverge after 65,000 - 12,000 = 53,000 years of constant use as ONE language. Could it be some catastrophe happened there 12,000 years ago decimating the population and forcing it to disperse?